The majority of people who rent residential accommodation are tenants, but some are in fact a licensee. Firstly – what is the difference? Licensees are common in establishments where the employee is granted accommodation as part of the employment package. For example, educational establishments. A licence rather than a tenancy is seen as a way of the tenant avoiding accommodation being treated as a benefit in kind for tax purposes. Unfortunately, there is not a clear distinction between the two types as the difference is not defined in any legislation. The best way of explaining the difference is by looking at the borderline cases and individual circumstances. A tenant is someone who has a legally binding right to occupy a property and exclude other people from it. Thus someone who pays rent on a house or flat for their sole occupation is usually a tenant. It is settled in law that a tenancy or a lease exists where EXCLUSIVE possession of subjects is granted between PARTIES for a DURATION for a RENT. Commonly, these four elements are referred to as the ‘four corners of a lease’, and the absence of any one element results in any such agreement falling short of a lease. A licence is a restricted and less developed concept in Scottish law than in England. The Scottish courts have only recently openly stated that such a concept exists. The true intentions of a landlord and occupier when they came to their agreement. In some key cases in this area, the courts have shown a tendency to look beyond any artificial label in the written agreement, looking at the true nature of the occupancy to determine the type of tenancy. I.e. whether the accommodation was provided as an act of friendship (likely to be a licence) or whether the tenant pays rent and whether the accommodation is self-contained (tenancy). 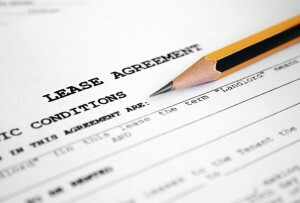 Whether any written agreement mentions tenancy or licence. Whether the occupier has exclusive possession of the accommodation. Unless the tenant has the exclusive right to live in the premises, or at least part of the accommodation, he cannot be a tenant. If the tenant is forced to share accommodation, this could point to a licence. This last point could be used as an argument to justify a Licence rather than a tenancy in HMO properties as the occupants share the common areas, (public rooms, halls and bathrooms) therefore having no exclusive use of the whole property that would be expected in a tenancy. With the Private Housing (Tenancies) (Scotland) Act 2016 coming into play, the question remains whether some landlords and tenants will look towards licenses rather than leases. For certain owners and potential occupiers, the new PRT (Private Rented Tenancy) agreement is no longer fit for purpose. Could they redefine themselves as licensors and licensees?